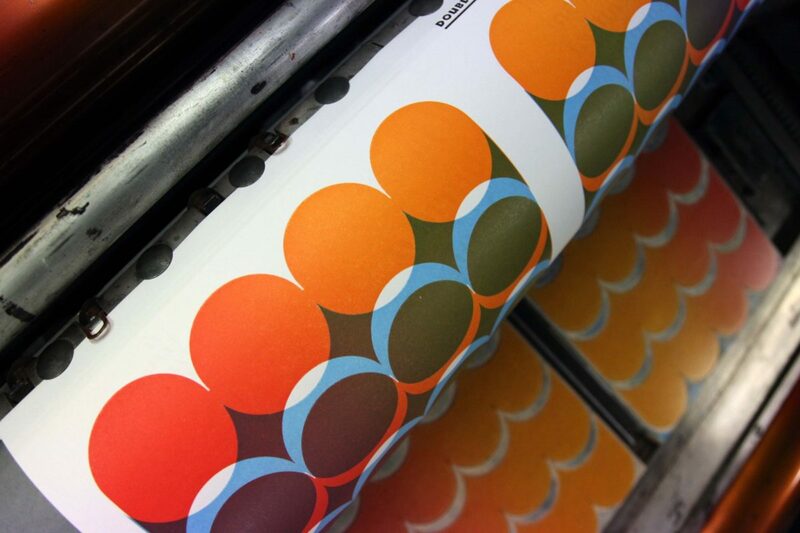 Recently printing by letterpress has seen something of a revival, partly fuelled by a generation looking for an antidote to the screen. 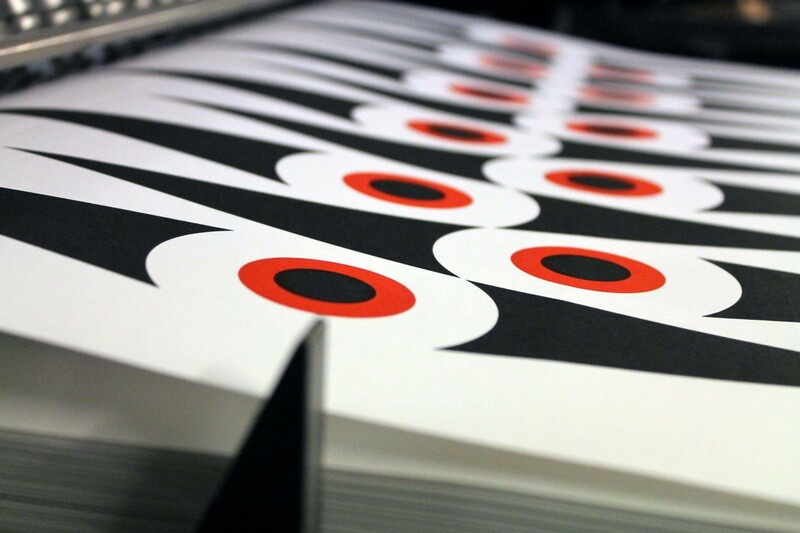 Our magazine, Double Dagger, has been printed wholly by letterpress on a Heidelberg Cylinder from type that has been cast in hot metal from a Monotype caster. 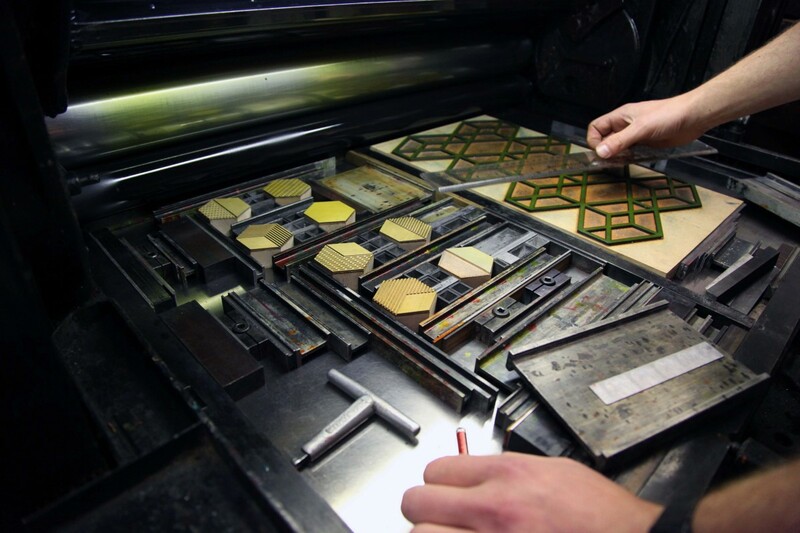 We are not advocating that all technological advances in print should be reversed 50 years, but, when printing from artwork in the physical form (linocuts, wood-type, laser-cut objects) there is no better companion than to use type which has been cast in hot metal. The contents of Double Dagger 2 is written by artists, printers and engravers, those for whom printing from physical objects forms the majority of their working day, and most of whom were able to contribute a piece of artwork to the issue. 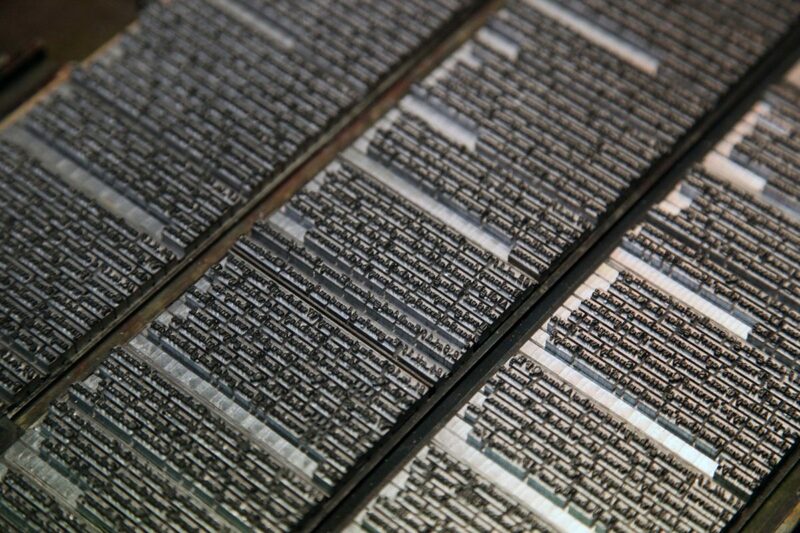 Four of our contributors are involved in the production of type. Most letterpress printers will be aware of the work of Geri McCormick of Virgin Wood Type who discusses her journey in to the world of type production and how she (with the late Bill Jones) came to acquire the assets of American Wood Type Mfg Co. We feature Thomas Mayo’s laser-cut Hexagons, Mark van Wageningen’s (of Novo Typo) three-colour Bixa typeface and John Craig’s lino engraved Venice typeface. The linocuts of Popolo Press (Montréal), Spike (Walthamstow) and Stanley Donwood (Bath) illustrate their articles, James Freemantle’s press diary opens things on page three and we finish off with thought-provoking pieces; Edwin Pickstone on the nature of the print on demand book and Paul Kershaw’s feisty response to our slating of the polymer plate printer in issue 1’s editorial. 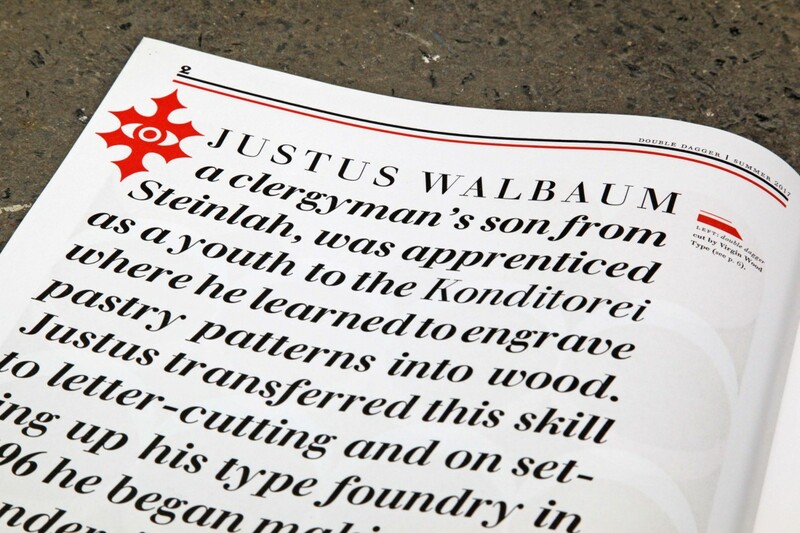 The typeface throughout is one of our favourites: Walbaum. Its slight and almost imperceptible irregularities provide an interest and human quality that is lacking in other nineteenth century ‘Modern’ faces, e.g., Bodoni, and make it a perfect bedfellow for the strong lines of black linocuts. The Roman is accompanied by an italic and a bold and sits throughout beside Neuland, a face by Rudolf Koch designed by directly carving in to metal. 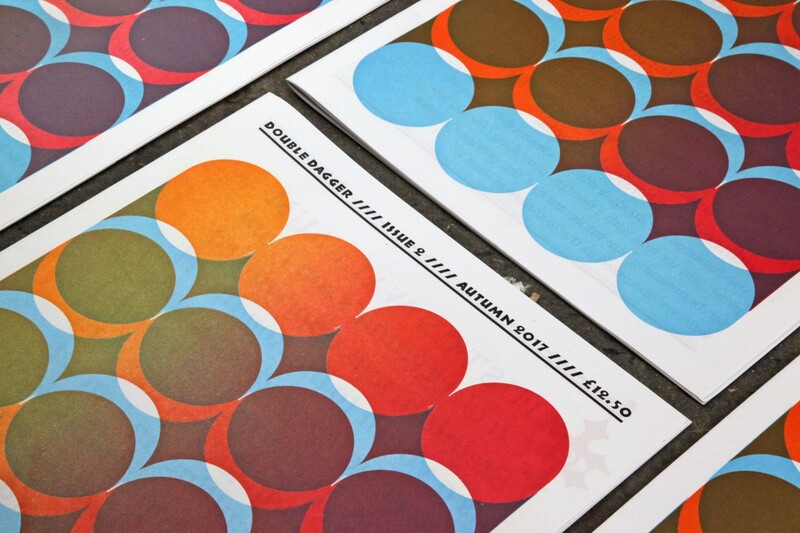 In our view the page of letterpress printed text offers the senses – touch, sight and even smell – something completely different to most of todays commercial printing. 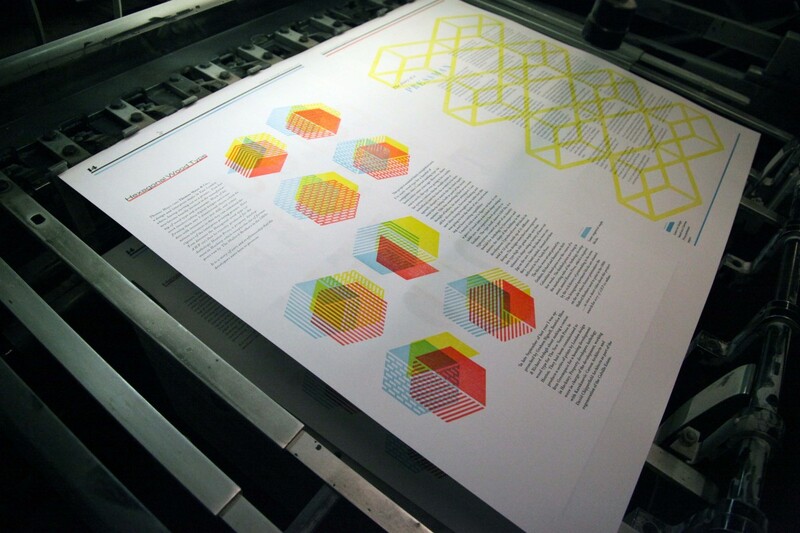 Double Dagger is a celebration of hot-metal typesetting, artwork as a physical object and the reliability of engineering found in a Heidelberg printing press.